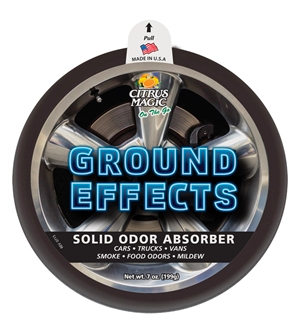 Ideal for cars, trucks, vans, and more, Citrus Magic On The Go's new 7 oz. solid air freshener in a sleekly designed black tub brings a whole new "look" to odor elimination. Available in three distinctly new fragrances: Off Road, Hot Rod, and Ground Effects. Your car will never smell the same again.